home shop by department books power to the people! 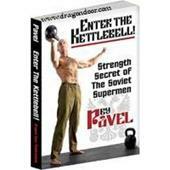 Pavel's "Power to the People" shows the reader how to run extremely efficient workout sessions, by maximizing strength gain and minimizing mass gain, fatigue and injury as well as eliminating post-workout muscle soreness and stiffness. If your goal is to bulk up, Pavel covers techniques to gain maximum results. By treating the body as a system, Power to the People rarely if ever isolates just one muscle group but rather involves several at once. This leads to the kind of functional strength that combat sports athletes and special operators in the military prize. The book is at once entertaining and informative. Pavel's playful Russian personality shines through on every page, making it easy to read, even if the physical training is incredibly intense. The most unusual aspect of this work is that it contains the information one would expect from a text book yet has the functionality of a cookbook. If you are ready to see real results in less time, and are willing to work harder than ever before, get Power to the People!, Comrade! How sure are we that Power to the People! (paperback) will work for you? Simply fill out the form below and put Power to the People! (paperback) to work for you right now. Obviously, we would go out of business if Power to the People! (paperback) didn't work, the way we said, right? With the promise of a full refund if you're unsatisfied, you have nothing to lose by trying Power to the People! (paperback). Go ahead and try it today. What if we told you: "YOU COULD OWN A WORLD CLASS BODY—whatever your present condition—by doing only two exercises, for twenty minutes a day?" And we are talking about a world class body—a body so lean, ripped and powerful looking, you won't believe your own reflection when you catch yourself in the mirror. And we do mean whatever your present condition—we don't care if you're currently an abject pipsqueak, a rotund couch potato, or any other sorry-excuse-for-a-human-being. "In my capacity as a leader of Marines, I have to continually balance the matters of mission and training. There is never enough time to train Marines to the standard that exists in a leader's mind. However, if I were to recommend one Physical Training program to develop a Marine's overall strength and fighting capability, it would be one prescribed by Pavel Tsatsouline. His exercise principles are well researched, easy to implement, and focus directly on a functional end-state: high caliber efficiency. He is a man of extensive knowledge, vast experience, and boundless enthusiasm. However, while his skills are legion, he escues the chest pumping, "look at me" attitude and focuses an iron will on the trainee. This fact is rare in today's world of self-promotion and provides a learning atmosphere that is unparalleled. From hoisting his beloved Kettlebells to Janda sit-ups to one-legged squats, results are declarative. Anyone serious about getting fit - and in particular the military or law enforcement professional - should stop looking for a better piece of equipment or diet supplement and get 'Pavelized.' There is no substitute for hard work and knowledge. Pavel has both in tremendous quantity and quality." 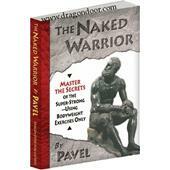 About the author: Pavel was a physical training instructor for Soviet Special Forces and holds a Masters Degree (or equivalent in the old Soviet education system) in what would probably be called Kiniesiology in the United States. Pavel has a unique and very effective writing style. He is at once entertaining and informative. His books are some of the few, if not only, on physical training that I actually LIKE to read. So many training books are just complete and total bores. Not this one. Pavel's playful Russian personality shines through on every page. Besides that, the book is loaded with interesting sidebars. The most unusual aspect of this work is that it contains the information one would expect from a text book yet has the functionality of a cookbook. It's a difficult line to walk but Pavel pulls it off. While Power To The People will appeal to a generally fitness audience, it was clearly written with the martial artist in mind. In a nut shell, this books shows the reader how to run an extremely efficient workout sessions (short & sweet), maximizing strength gain while minimizing mass gain, fatigue and injury as well as eliminating post-workout muscle soreness and stiffness. On the other hand, if your goal is to bulk up, there is also a chapter on that as well (and I've seen it work-it's scary!). To go a little more in depth, Pavel treats the body as a system and trains it as such. He rarely if ever isolates just one muscle group but rather involves several at once. This should make a great deal of sense to most martial artists. We use our bodies as a whole so we should train them as such. The workout itself is surprisingly brief. Only 3 to 5 sets of three to five repetitions and only three exercises, bench, side press and some variant of a dead lift, not all of which need to be necessarily performed on the same day. This workout is perfect in many ways for the martial artist. It's brevity is important, because we would all rather be doing MA than spending time in the gym. The lack of stiffness and soreness is essential in any training for the martial artist (I have found that I can do this workout immediately preceding kung fu practice with no problem). Besides that, it just makes you darn strong which certainly can't hurt! The exercises themselves are extremely well detailed and illustrated. I have had no trouble what so ever following the instructions. None of them involve any sort of gimmick or machine. They can all be performed with a minimal "Olympic" weight set (a bar and plates). A bench helps but isn't totally 100% necessary. Drawbacks of this book? Few, if any. I'll have to really reach here. The book itself is not complete by itself. To be considered complete, it would really require Pavels other two works on abdominal training and flexibility training. The latter is also really about strength training in the extreme range of motion. Training the mid-section is critical for safety, good form and increased strength so I feel that should be undertaken concurrently. It is worth mentioning that the author does a good job of promoting safety though out his books, which I greatly value. Pavel Tsatsouline's new book: Power to the People! How often do you grab a read and discover you've just landed one of those "IF-I-COULD- ONLY-TAKE-FIVE-BOOKS-TO-A-DESERT-ISLAND" blockbusters? The kind of book that shakes the molecules in your brain and has your synapses firing like popcorn? The kind of book that has you leaping out of the bath tub, pumping your fist and screaming "FINALLY!' to the startled masses? Or how about a book that gets you so worked up, your friends start reaching for the Ritalin? If you're about maximizing your potential, if you're about cutting-to-the-chase, if you're about "just-give-me-what-works", then Pavel's Power to the People! is everything you ever dreamed about—and then some. "Pavel Tsatsouline has burst onto the American health and fitness scene like a Russian cyclone. He razes the sacred temples of fitness complacency and smugness with his revolutionary concepts and ideas. If you want a new and innovative approach to the age old dilemma of physical transformation, you've struck the mother-lode." Hi- Just wanted to say thanks for saving me from stopping my love for cycling. I've been a road and cyclocross racer for 25 years. In the last 3-4 years, I've noticed a considerable drop in my ability to keep up with guys in my masters category. Clearly, they were creating more power than I, and for years, I tried to analyze why this was happening. Finally, just a month and a half ago, I decided that the power was dependent on my strength, and so I decided I needed a radical way to improve my strength ability. So, I just looked in my library catalog, and found the PTP workout. I thought, this is easy, quick, and makes great sense. It doesn't mention anywhere in the book how one optimizes the PTP with the workouts of the sport of choice, but I have basically done PTP except on days when I have performed near maximal or maximal workouts on bike/plyo. It hasn't had a negative impact on my progression in PTP. Every other testing system burned me out in less than a month. With PTTP's periodization you stop we'll before burnout enduring higher & higher peaks each cycle. I can honestly say if I had had this book 30yrs ago I'd be light years ahead of where I am now despite constantly trying to progress. Rated 10/10 A post on Pavel's 80/20 Powerlifting article. By Trevor Windhorst / Orem, UT, U.S.A. I want to share with this forum my success with this program. I used the PTTP program with BP and Sumo DL for 8 months. I weighed 198 lbs and ended up increasing my strength so much. I went from having a 325 lbs Deadlift to a 415 lbs Deadlift and a 270 lbs BP to a 325 lbs BP. That got my attention so I looked up more of your research and found this forum. I did the plan exactly as written for one year, except I had no access to a squat rack so I just did Sumo DL 5×5 2 times a week (one heavy one light day) And the same with BP. I did no squats. I did however do the Russian Bear program with pullups one day a week. I put on 20 lbs of muscle ( a bit of fat too due to massive eating, but not much) and I increased my Deadlift to 550 lbs and my BP to 365 lbs. and went from being able to do 10 pullups with just my own bodyweight to 20 pullups with 20 lbs strapped to me at 5 feet 9 inches and a bodyweight of 218 lbs. All this was done within ONE YEAR and 100% RAW with no gear, drugs or supplements. Not even whey protein powder. I Just ate tons of vegetables, pastas, eggs, meat, and stayed away from junk and too much fruit. I drank lots of milk and water but did not drink juice or soda . I logged every session, kept my rest between sets longer than 5 mins., got lots of sleep and didn’t stray from the program though I had a hard time doing that. I’ve always had exercise ADD. I want to thank you for your shedding of light on all the crap there is out there in the strength and fitness industry. My Bench Press became stronger than my max Deadlift was when I started to read your research and put your programs to the test. I put a lot of faith in your methodology because you are credible and your research and the research of others you quote is convincing and makes sense. Thanks to you I am more confident, well built, and strong as HELL! Power to you my friend! To anyone reading this, Remember the acronym K.I.S.S. Keep It Simple Stupid! Listen to Pavel and you will crush your PR’s. Welcome to the Party, the Party is always right! This is what I sought for 20+ years. As simple and concise as a strength training program can be, it is the complete antithesis of what you read in the glossy muscle mags. You have access to a barbell and plates and want strength? After laying off the bench for almost 5 years I am benching 275 for reps after 2 1/2 months on Power to the People. After laying off the deadlift for almost 5 years I just pulled 505 after the same 2 1/2 months. You want size? My wife has forbidden me from doing Pavel's "Russian Bear" since my XL shirts no longer fit my back and my legs won't fit my pants anymore. Sick of all those nagging little injuries that come with overtraining? Follow Pavel's protocol and those days are over. You'll leave the gym feeling just as energetic as you did coming in. Don't hesitate in buying Power to the People. It costs as much as five of those glossy muscle mags that usually reprint the same complicated routines in so many different words. The difference is that Power to the People's extremely simple program delivers every bit of what it promises. Not only will you not be disappointed, you will be thrilled. By hausmann / Orange, Calif. This is the second time I purchased PTTP. My first copy of PTTP, I literally worn out from use. A pretty darn-good endorsement of the value of this book, I'd say. Rated 10/10 Best weight training advice available! 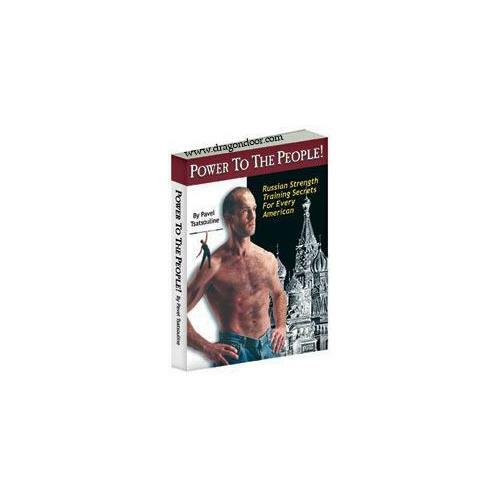 "Power to the People" has been the most valuable info I have found yet on weight lifting. This compact and entertaining book has 2 outstanding uses: 1. A simple and brief workout for those of us who want to build strength and control body fat on a tight schedule, and 2. Outstanding advice on the main power lifts and full-body training for those who want to supplement the great body of contradictory literature already out there with an excellent program that really works. Buy and start this program right away, and then in a few months add to it with a couple Kettlebells and Pavel's video on how to use them. I am stronger than ever, with less time devoted to training and rare instances of muscle soreness. Rated 10/10 To the point, All meant no filler! No matter what your current workout, if you lift iron this book and DVD is gold and a must have. I can't wait to apply the techniques to my Olympic bar and weights! Rated 10/10 This Power is real! One of the best books for all levels of lifters/athletes. 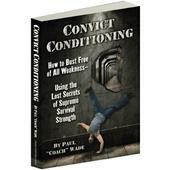 Rated 10/10 Best strength book ever for a competitor with limited time!! Two things that I really like about this book! (1)It works!! (2)I'm not worn out from a weight workout that interferes with Brazilian Jiu-Jitsu training. An extra bonus is the straight forward, humerous way Pavel writes along with the fact you get great strength in a short amount of time. Looking forward to other Pavel books! By Shane W / Germantown, M.D. Great book. Simplicity is King. I have made astounding gains by following the advice in this book. I have been "on board" with the party's methods for some time, and this book is just another masterpiece from Pavel.